SmartTE provides a way to take advantage of today's modern touchscreen devices with Terminal Emulation by transforming "green screen" application screens into easy-to-use, graphical screens with no changes to the underlying enterprise applications. More than 70% of data collection devices in the warehouse run wireless Terminal Emulation to connect with mission-critical, server-based applications. This solution has been the standard in data collection for decades because it is fast, secure and very reliable when implemented correctly. While traditional Terminal Emulation is the most relied upon solution in the industry, there are great productivity improvements to be had by implementing an easy-to-use, graphical data collection application that supports modern, touchscreen devices. But there are many unknowns: high costs, long implementation cycles, and application performance risks associated with migrating away from fast and reliable Terminal Emulation “green screen” applications. With StayLinked SmartTE you get the best of both worlds with No-Risk Application Modernization. You continue to realize the speed, reliability, and security of StayLinked TE while increasing productivity and usability with the addition of an intuitive, modern user experience. SmartTE is an extension of StayLinked Terminal Emulation and SmartTE features are included in StayLinked version 14.0. By allowing complicated, text-based application screens to be transformed into easy-to-use, graphics-based screens SmartTE can streamline business processes for application end users and increase overall worker efficiency. As enterprises implement touchscreen-centric devices running operating systems like Android or iOS, there is a need to take full advantage of the capabilities of these mobile devices. With SmartTE, existing "green screen" application can be transformed to look and act like native applications on these modern OS devices. SmartTE End users intuitively understand how to use graphical, touchscreen applications and can be quickly trained to execute their jobs very efficiently. Terminal emulation remains the most implemented application deployed on ruggedized mobile devices because it is incredibly reliable and incredibly fast. 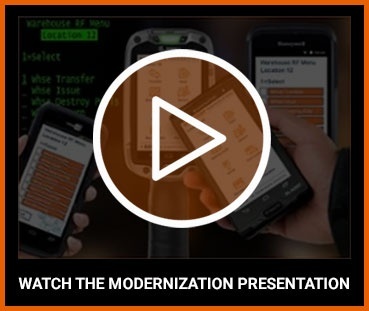 In fact, It is estimated that 70% of ruggedized mobile devices run a terminal emulation solution. But for today’s smartphone operating system touchscreen devices the market is demanding a graphically rich and familiar user experience. Various attempts to use web-based applications have proven to introduce latency—slowing down the application and degrading productivity. Inserting fat applications between the mainframe application and the mobile device to improve the user interface has the same negative impact. Replacing the mainframe application (and the most reliable piece of hardware in the enterprise) with an entirely new system brings with it exorbitant costs and a high level of risk. When it comes to the all-important workforce metric—productivity—nothing has been able to beat terminal emulation’s combination of speed and reliability. Customers have had to choose between the speed of terminal emulation and the intuitive, graphical UI of browser-based or fat applications until now: StayLinked SmartTE delivers the speed and reliability of traditional terminal emulation with the intuitive, modern user experience of web-based applications. SmartTE is built upon the industry's most advanced Terminal Emulation architecture - StayLinked TE - which virtually eliminates dropped sessions between the mobile device and the host application. Whether the problem is poor wireless network coverage, mobile device battery issues, or mobile device reboots, the terminal emulation session will never be lost. Sessions can even be transferred to another device or even shared across multiple devices. In fact, StayLinked can even maintain your session over cellular networks when coverage is temporarily lost. SmartTE features Dynamic Screen Generation which will automatically transform your terminal emulation screens into touchscreen-friendly screens. The new interface is generated based upon specific settings controlling such parameters as tapspot detection, graphic fields, color schemes, background images, and more. This new user interface generation requires no changes to the original application. If you would like to create custom screens with a different look and feel from the dynamically generated screens, SmartTE features a drag-and-drop screen designer. You can use this tool to include your unique branding, incorporate product images in your screens, customize colors, increase button size, and more. As with the Dynamic Screen Generation option, there are no changes to the original application and no programming skills are required. SmartTE features are offered as a free upgrade to existing StayLinked customers with an active maintenance and support contract. StayLinked's philosophy is to offer great product upgrades and unrivaled customer support to our loyal customers. StayLinked licensing is designed to deliver great value to our customers, also. The licensing is based upon concurrent telnet sessions rather than by total device count and StayLinked licenses are fully transferable to new devices with an active maintenance and support agreement.